You would know by now that driving on Malaysians roads is not only about obeying the traffic rules. It is in fact more than that. When you sat for your driving test, you go through a course with the words ‘panduan berhemat’ which means ‘defensive driving’. This is of course the opposite of offensive driving where you try and agitate everyone around you. Defensive driving is very simple. You assume that all other drivers are jerks and failed their driving tests. You can assume that everyone else around you are on the offensive. So you should naturally be on the defensive stance. 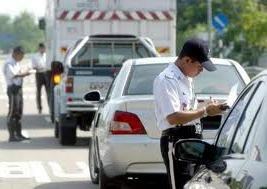 When driving in Malaysia and most particularly in places like Kuala Lumpur or Georgetown, you need to be extra careful. This is because you’d never know when someone makes an illegal turn or takes a sudden swerve towards you. So the trick to defensive driving is to be aware. When driving, don’t only focus on the gears and steering. Look around you and observe the cars. Try to analyse the drivers’ behavior so that you can countereact to any ‘last minute’ actions. No one is asking you to be a fortune teller but always think about what would you do if the car in front suddenly stops. This thought will prompt you to drive further away. After all, you are supposed to keep a 2 street lights distance between you and the car in front. No matter what they tell you, if you are half asleep, try not to drive. Be alert at all times. The most important thing to do is to keep your hands on the controls. This will give you the control you need for any sudden u-turns by the morons around you. 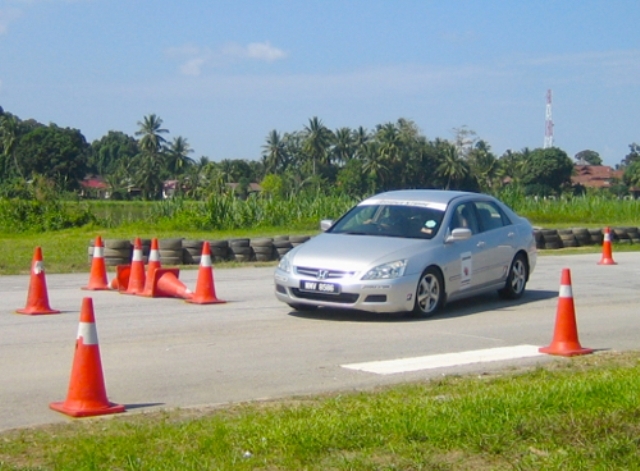 There are in fact defensive driving courses out there which will give you all the information you need and it is always good to attend them. Ultimately, you must be able to look around you, make sure no one is too near and to be ready when something happens out of the blue.